MYRTLE BEACH, SC (WMBF) – Airport officials say Myrtle Beach is among the fastest-growing airports in the nation; that's a why a million dollar facelift could be coming to the Myrtle Beach International Airport. 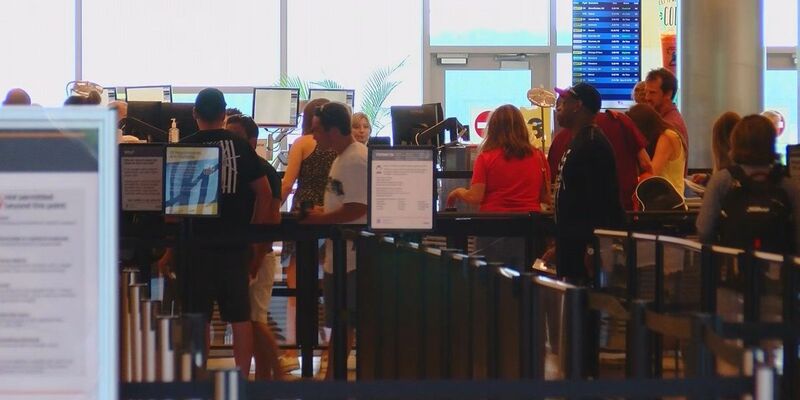 Tourism continues to rise in Myrtle Beach, which means more people flying to and from MYR. To be exact, there are about 2 million people going in and out of the airport annually. The master plan, which is also required by the FAA, is to try to keep up with the pace of that demand over the next 20 years. Organizers of the plan will look at the current facility, aviation industry changes and FAA standards to analyze what we already have in place, and see what developments can be made to match the forecasted passenger growth. "Myrtle Beach is one of the top three growing, percentages wise, in the nation, so it may say additional terminal needed, parking is constrained, which way to go with the parking," Director of Airports Scott Van Moppes said. Parking is among the main issues at MYR, so the plan suggests expanding parking out or up. New gates are also in the discussion to potentially house new and existing carriers. Other than that, the master plan looks at the current facility in terms of the taxi way, surrounding land, air cargo and curbside use. The study will also look at if any underground utilities need to be replaced. Looking at the future of ITAP, The International Technology and Aerospace Park, is also in the plan. The master plan was already presented to the county Monday, and on Tuesday it will be presented to the City of Myrtle Beach. The public will get the opportunity to discuss what they feel needs to change. "The public has an opportunity for input as well as the city and county get together and they realize what's the best opportunity for the community to grow as a whole," said Van Moppes. The budget for this master plan is roughly $2.5 million. The bulk of the fund will come from the FAA, but the local government is also required to pitch in. The time-line of the draft plan should be completed in 18 months. Before the plan gets the green light, it has to be approved by the county and FAA.